The Siskin was the RAF’s first all metal fighter & was used by ten squadrons 1/17/19/25/29/32/41/43/56 & 111 & twelve went to Canada. It served in front line service between ’27 & ’32.The Siskin was powered by an A.S.Jaguar IV 450 HP engine & had a span of 33’ 2” & a length of 25’ 4” & was armed with two 303 Vickers machine guns & optional four 20lb bombs. 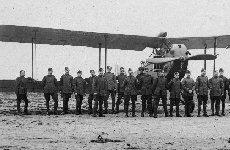 The Armstrong-Whitworth FK8 reconnaissance/bomber was a massive aircraft by WWI standards. It was large, ungainly and sturdy, an excellent platform to drop bombs from, but it was not at all agile. The pilots, gunners and mechanics all called it the "Ack-W" or "Big-Ack" for short. It was an improved version of the FK3 bomber. The F.K.8 went in production in May of 1916. They were widely used in World War I, around 1200 were built, of which 694 were provided to the French. The Big-Ack was powered by the 120 hp Beardmore engine. It had a maximum speed of 90 mph, a ceiling of 12,800 ft (3900 m) and a range of 240 miles. It was armed with two 0.303 calibre machine guns, a Vickers on the cowling and a Lewis in the rear on a ring mount for the observer/gunner. It could carry 160 lbs of bombs under the wings. 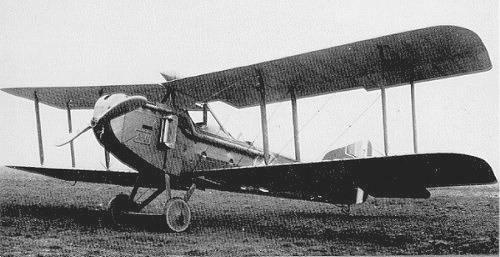 Built by Hewlett and Blondeau as part of an order for 300 aircraft although only 175 completed. The final fate of this aircraft is not known. Built by Angus Sanderson as part of an order for 200 aircraft.The final fate of this aircraft is not known. Armstrong Whitworth A.W.38 Whitley - The Armstrong Whitworth Whitley was designed under the direction of J Lloyd to the requirements of Specification B.3/34 for a five-seat 'heavy bomber' replacement for the Heyford and Hendon, to carry a 2,500-lb (1,135-kg) bomb load over 1,250 miles (2,010 km) at 225 mph (362 km/h) at 15,000 ft (4,575 m). First of two prototypes (K4586) with 795 hp Tiger IX engines flown at Whitley, Coventry, aerodrome on March 17, 1936. 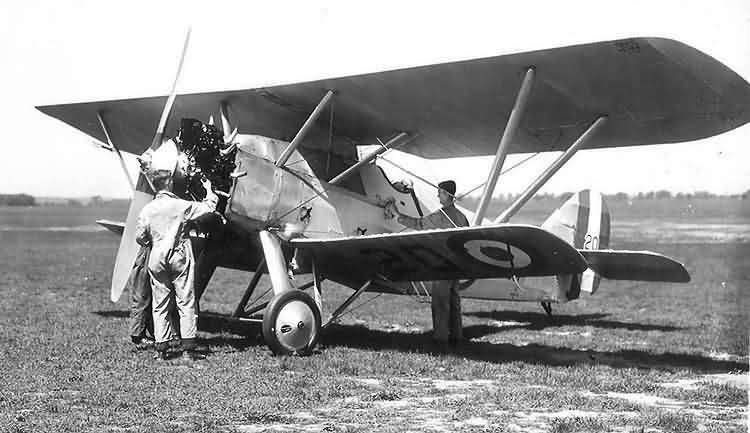 Second prototype (K.4587) with Tiger XIs flown February 11, 1937. Armstrong Whitworth Whitley I: First contract for 80 Armstrong Whitworth Whitley Mk Is placed 'off the drawing board' in June 1935. 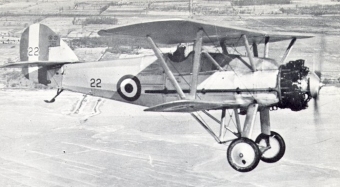 First example flown December 23, 1936; deliveries to No 10 Sqn, RAF, on March 9, later to Nos 51 and 78 Sqdns. Tiger IX engines; armament of single 0.303-in (7.7-mm) Lewis gun each in front (AW. or Nash and Thompson) and rear (AW.) manual turrets. Production terminated at 34th aircraft. Armstrong Whitworth Whitley II: Final 46 aircraft on initial contract completed with 920 hp Tiger VIIIs with two-speed superchargers, to Specification B.21/35. Deliveries mid-1938, to Nos 7, 51, 58 and 97 Sqdns. 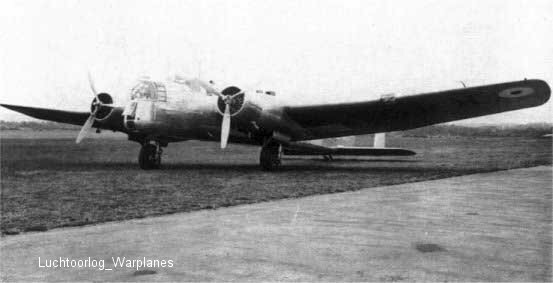 One Armstrong Whitworth Whitley II (K7243) test-bed for AS Deerhound 21-cyl air-cooled radial engine, flown Jan 1939-March 1940. Armstrong Whitworth Whitley III: max speed, 193 mph (311 km/h) at 14,250ft (4,343 m). Cruising speed, 164 mph (264 km/h) at 15,000ft (4,575 m). Time to 15,000 ft (4,575 m), 44 min. Service ceiling, 17,000ft (5,182 m). Range with standard fuel, 1,190 miles (1,914 km). Gross weight, 26,500 Ib (12,031 kg). Span, 84 ft 0 in (25.60 m). Length, 69ft 4 in (21.12m). 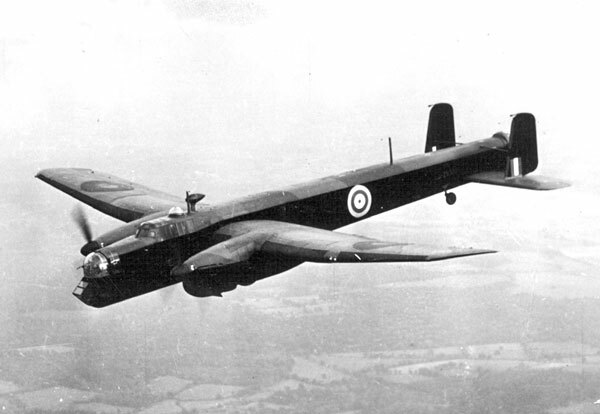 Armstrong Whitworth Whitley V: max speed, 230 mph (370 km/h) at 16,400ft (5,000 m). Cruising speed, 210 mph (338 km/h) at 15,000ft (4,575 m). Time to 15,000 ft (4,575 m), 16 min. Service ceiling, 26,000ft (7,925 m). Range with standard fuel, 1,500 mis (2,414 km). Gross weight, 33,500 Ib (15,196 kg). Span, 84 ft 0 in (25.60 m). Length, 70ft 6 in (21.60 m). 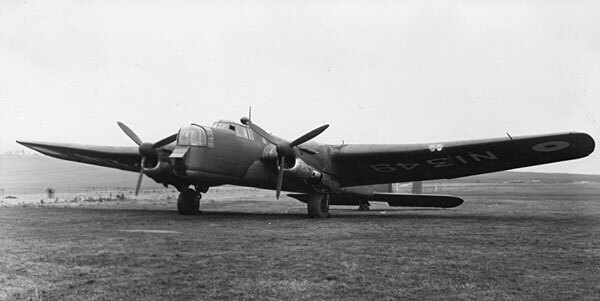 Built by Armstrong Whitworth as part of an order for 50 aircraft within the serial range AD665 – AD714 and delivered in early 1942. The final fate of this aircraft is not known. 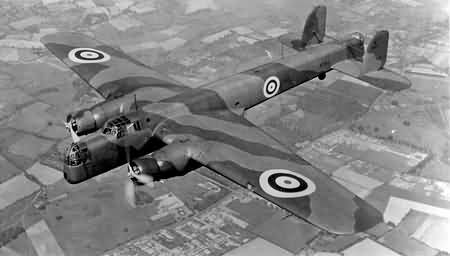 Built by Armstrong Whitworth as part of an order for 300 Mk V and Mk VII aircraft within the serial range BD189 – BD693 and delivered in 1942. The final fate of this aircraft is not known. Serial range Z6624 - Z6673. 50 Whitley Mk.V. Delivered by Armstrong Whitworth Aircraft between 20th March 1941 and 21st April 1941. Contract No.106962/40. The aircraft served with No58 squadron and was coded GE-E. The aircraft was airborne at 22:45 on 8th July 1941 from Linton-on-Ouse. Abandoned and crashed 02:40 onto a road near Velden (Limburg), 5 km N of Venlo, Holland. Sgt Caine fell to his death when his parachute failed to open. Sgt A.W.Rigling Inj Sgt L.E.Carden PoW Sgt J.S.Cameron PoW Sgt J.Gutteridge PoW Sgt W.M.Caine KIA Sgt J.S.Cameron was interned in Camps 9C/L6/357. PoW No.39295 with Sgts L.E.Carden, PoW No.39291 and J.Gutteridge, PoW No.39293. Sgt A.W.Rigling was confined in Hospital due injuries. No PoW No. "